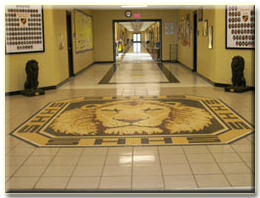 Before the Ayers Scholarship was offered, less than 30 percent of high school graduates from Scotts Hill were attending a four-yaer, two-year institution or technical school after graduation. Today, approximately 91 percent go on to higher education after graduating. The Ayers Schlorship was created in 2006 to recognize Mr. Ayers contributions and the importance of giving back to the community in which we live. Graduates receive personalized schlorship plaques from the Ayers Foundation. Their reward for their hard work: the knowledge that each student could attend college if he or she so desired, thanks to the Ayers Scholars Program. Jim Ayers, founder and chairman of the board of the Ayers Foundation, challenged each student that the decisions they make right now will most likely affect the quality of their lives for the next 60 years. The Ayers Foundation Scholars Program was created by Ayers as a means of awarding high school students from his native Decatur County up to $4,000 annually for up to four years of higher education. 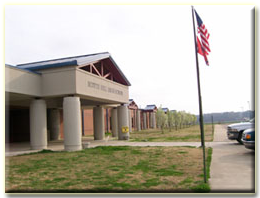 The program expanded to Scotts Hill High School in September 2004. The goal of the Ayer's program is to ensure that at least 75 percent of Scotts Hill High School graduates attend and graduate from a post-secondary institution. 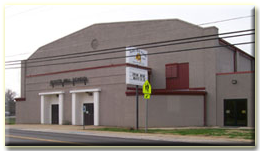 Each year since its inception, the students have exceeded that goal. At the end of the 2008-09 school year, more than 5 million dollarsfrom Ayers has been awarded, 10.25 million in other scholarship dollars secured by the Ayers Foundation counselors and 1,730 scholarships have been awarded. The program not only helps with financial costs of continuing their education, it also offers personal counseling through their freshman year in college. This includes assistance with obtainingadditional sources of financial aid, guidance towards educational goals and curriculum expectations.